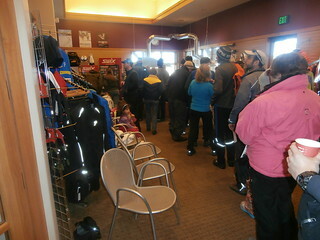 Cross-country skiing is a hot, cold weather topic in Aspen these days. Locals Simi Hamilton and Noah Hoffman have just been named to the 2014 Sochi Olympics cross-country ski team, and the Owl Creek Chase (self-proclaimed as “Colorado’s largest x-country ski race”), just took place. 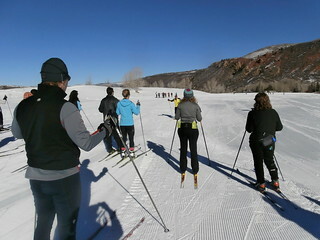 Additionally, for the rest of us merely recreational cross-country skiers, the recent annual Aspen Cross Country Center’s free Aspen Cross-Country Ski Extravaganza event once again ignited fantasies of reaching those levels of cross-country skiing prowess. There are so many high-profile events that take place in Aspen, Colorado, that it’s easy to overlook some of the other excellent affairs here that fly a little lower under the radar. 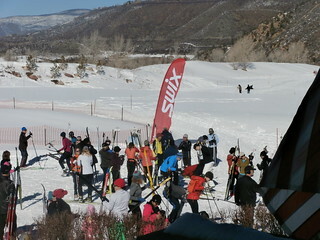 The annual Aspen Cross-Country Ski Extravaganza, hosted by the Ute Mountaineer’s Aspen Cross Country Center at the Aspen Municipal Golf Course, is one of them. While the Olympics are, well… the Olympics, and while it’s great that some highly-tuned cross-country skiing competitors can take part in increasingly popular events like the Owl Creek Chase, the Extravaganza is becoming a truly cherished Aspen community event. 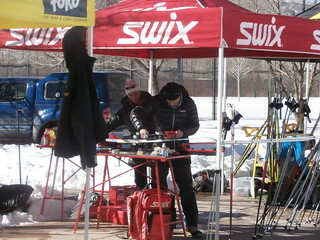 In addition to offering various levels of free classic and skating lessons, accompanied by free equipment rentals and waxing, the Aspen Cross-Country Ski Extravaganza also provides access to various industry-leading vendors as well. 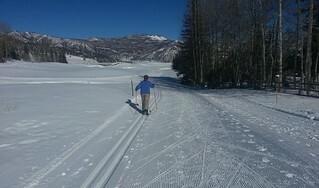 This year, I once again took advantage of the opportunity to get some valuable intermediate cross-country skating instruction while using top of the line gear rented for free from the Center. 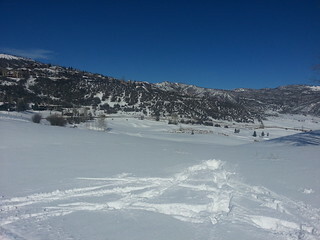 While I’m on the subject of cross-country skiing in Aspen, I don’t want to leave nearby Snowmass Village out as another great location for cross-country skiing as well. 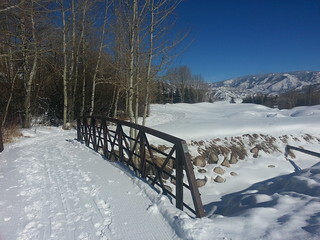 I recently took the opportunity to check out the Snowmass Golf Course – it was fabulous! I forgot just how big and fun that course is – great rolling hills mixed in with a few steeper uphills for exercise and corresponding downhills for a bit of well-earned refreshment. 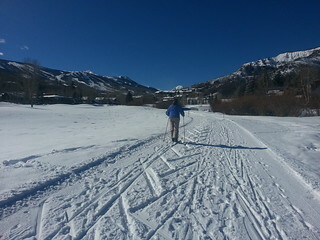 Yes, many great cross-country skiing opportunities exist in Aspen and the surrounding areas – and you don’t have to be an Olympian. or want to compete on any level, to enjoy them all immensely.